If you are looking for an outdoor holiday, surrounded by the wild nature of Northern Sardinia, but you don't want to give up the comforts of luxury accommodation, glamping is for you. Glamping is a new model of accommodation that combines the comforts of a luxurious suite with the freedom of a campsite. Glamping in North Sardinia means enjoying unique scenery! 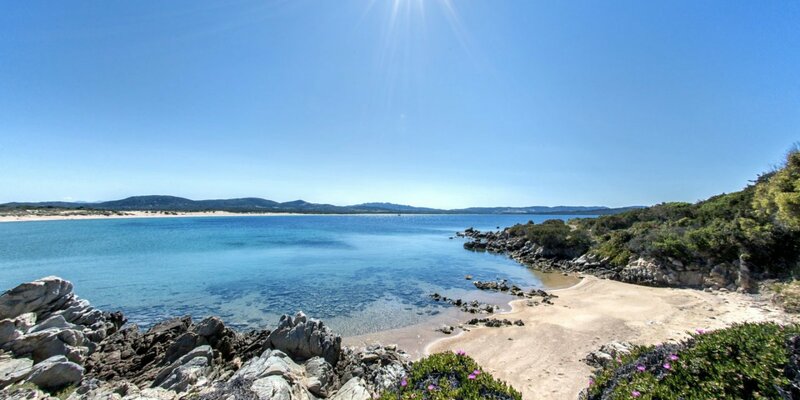 You'll be surrounded by the scents of the Mediterranean scrub while strolling through the beautiful views of Gallura or by the sea, all just minutes from the Costa Smeralda and Olbia. A real 5-star holiday in Sardinia! Isola dei Gabbiani is the ideal place to spend your holidays in luxury accommodation surrounded by nature. Our village has the ideal facilities for luxury camping, such as Suites by the sea. Our Suites are equipped with every comfort: from the double bedroom with king size bed, to the living room with a comfortable sofa bed and a kitchen complete with all accessories. They are also equipped with TV, microwave, coffee maker, cooking utensils, hairdryer and a safe with digital combination, as well as towels and sheets. Each Suite also has a private bathroom with bidet and shower. The Glamping is ideal for families who want to enjoy a relaxing luxurious stay in contact with nature among breathtaking scenery that will surprise even the little ones. For guests accompanied by our four-legged friends we have special facilities.